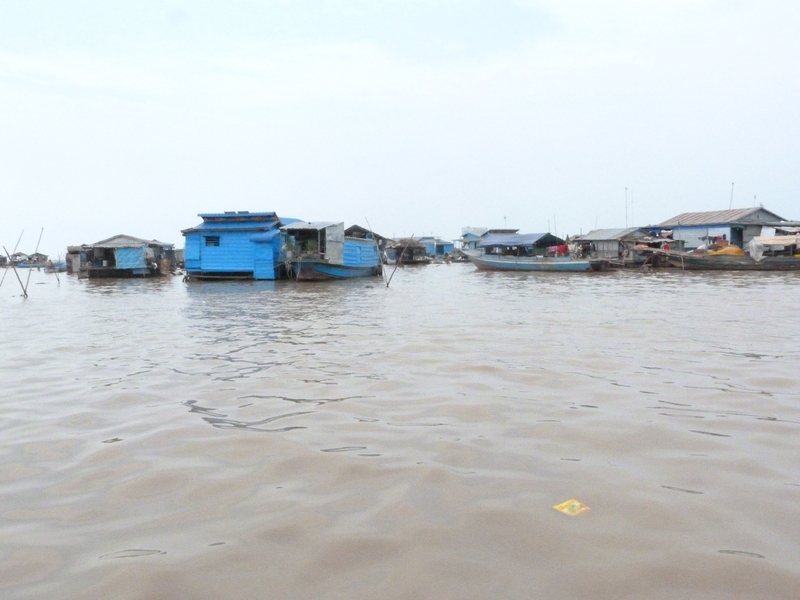 One of the stranger experiences and perhaps a visit I slightly regret was a trip to Tongle Sap to see the floating village Chong Khneas. 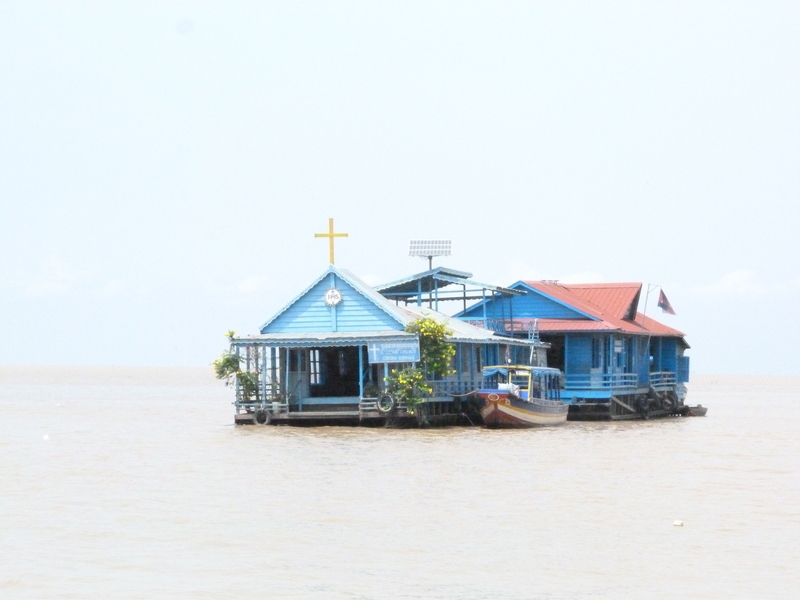 There is a population of 3 million living around or on the lake and there are several floating villages. 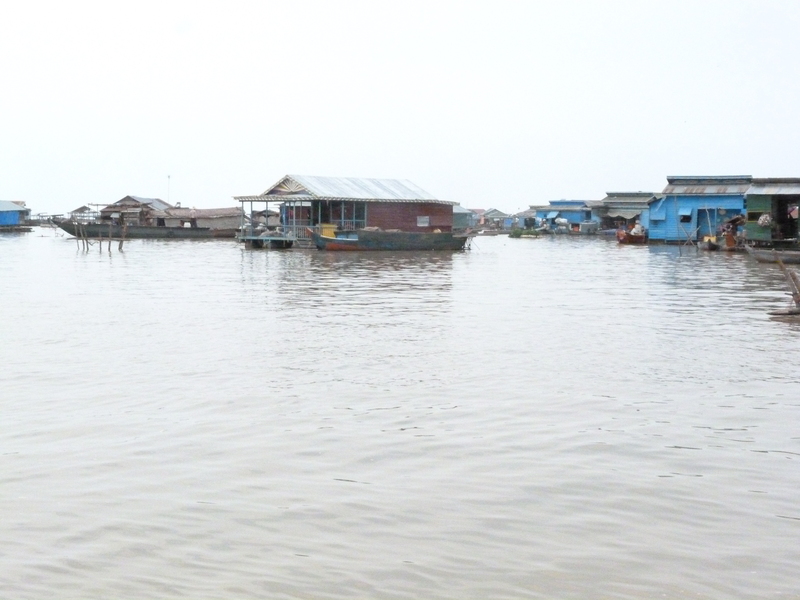 At 15k away, Chong Kneas is the closest to Siem Reap and also the best one to go to during the dry season. We had seen some interesting views about Chong Khneas on trip advisor and other travel forums where people claimed it was a tourist trap but after a bit of debate and a chat with Mr Lucky at Angkor Secret Garden Hotel we decided to go and see for ourselves. The drive to the village was fascinating in itself. 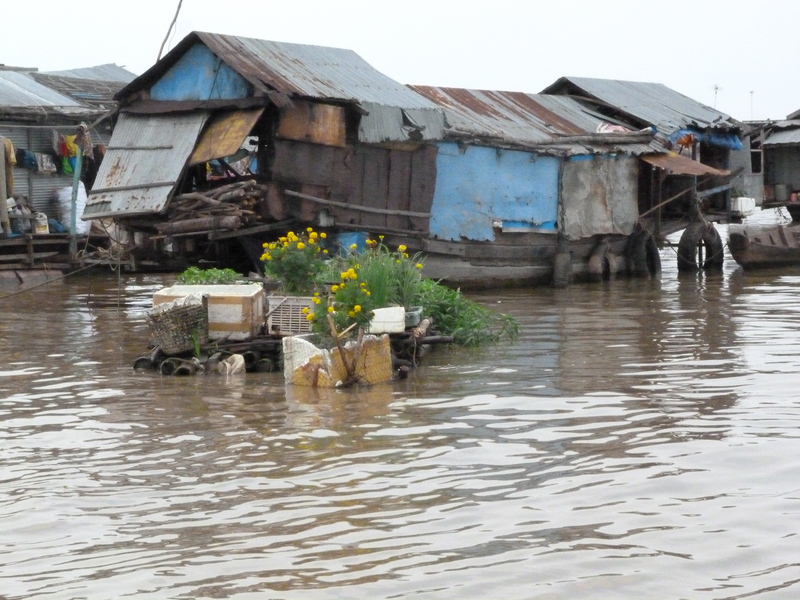 We passed many very rural villages where houses were built on stilts. As it was the dry season there was no water to be seen but they must have been built on the banks of a river. 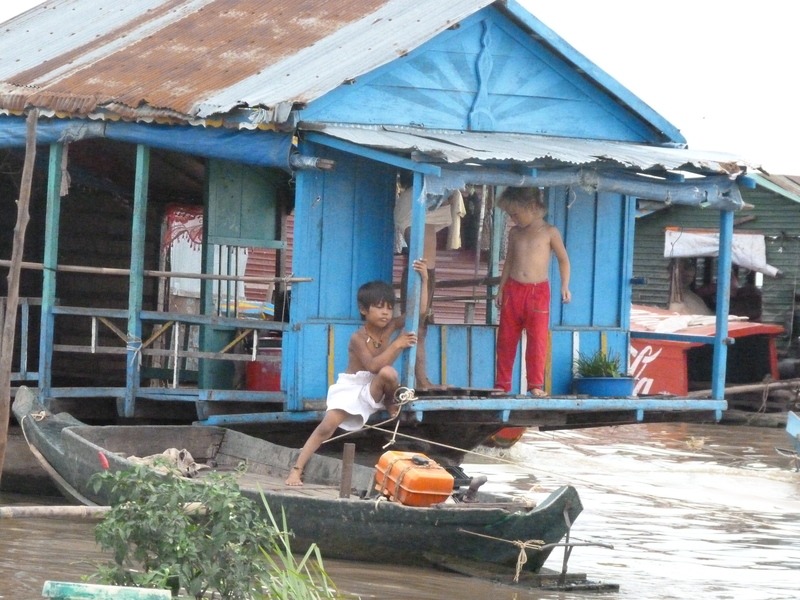 We arrived in what felt like the middle of nowhere next to the Mekong River and went into the only building. At the ticket desk there were no prices up. We were asked to pay $30 each for a tour. We knew this was too much as we had been advised it should be $20 each. Fortunately Mr Lucky had arranged for the tuk tuk driver to accompany us on the whole tour so he could help us out in this kind of situation. We explained that $30 each was too much and walked away. Our driver went and spoke to the vendors and immediately came back saying it was fine to pay $20 each. We went down to the dock and were shown to a rather ancient wooden boat. The first boat we went on wouldn’t start so we had to clamber across onto another one. No health and safety here! On board was a driver, a tour guide, just the two of us and our trusty tuk tuk driver. As soon as we sat down our guide started to talk to us about the village we would be visiting. He told us he used to live there himself and that his family still lived there. We learnt a little about life in the village and how 90% of the population make money from fishing. During the 7k trip down the river to the lake the guide started to drip feed us with information about how there were not enough fish for people to make a living and how the school in the village has a lot of orphans who don’t have enough to eat. This was something that was mentioned in the reviews of the trip online. He explained that we would visit the school and afterwards we could go to the market to buy food for the school if we wanted to. The village was amazing. It really is an entire village floating in the middle of a lake. There are houses, a restaurant, a catholic church, a police station, hospital and school. It did feel a little strange as we drove around looking at people going about their lives. Then, we were taken to the school. I really wish we had just said no and gone back at that point. We arrived at the school and I thought maybe we would just have a quick look and move on but we were encouraged to get out of the boat and go inside. The first room was a small hall and the kitchen. Our guide insisted upon showing us the kitchen and reminding us that the children didn’t have enough to eat. We then saw three classrooms where children were attempting to learn. In the first classroom some children were sitting at desks without anything in front of them whilst others were colouring in pictures. The second classroom had no teacher inside and the children weren’t doing anything. There was some maths on the board that was far too difficult for the age of the children in the classroom. In the third classroom the children were reciting some Vietnamese on the board. I felt so uncomfortable. The guide kept saying we could take photos but it just felt really weird. It seemed like the school was just for show. When we got back into the boat the guide asked if we would like to buy some food for the children. We went to the market which wasn’t actually the main food market for the village but seemed just like someone’s house with a pile of giant bags of rice, some water and some sweets. Unfortunately we had read about how this is a scam. They charge $30-50 for a bag of rice calling it a donation. You can drop off the rice to the school but according to information online the rice would then be returned and the money wouldn’t benefit the children at all. Obviously I don’t know this for a fact but we decided that if we are going to donate we would do it in a way we were sure would benefit children in Cambodia. 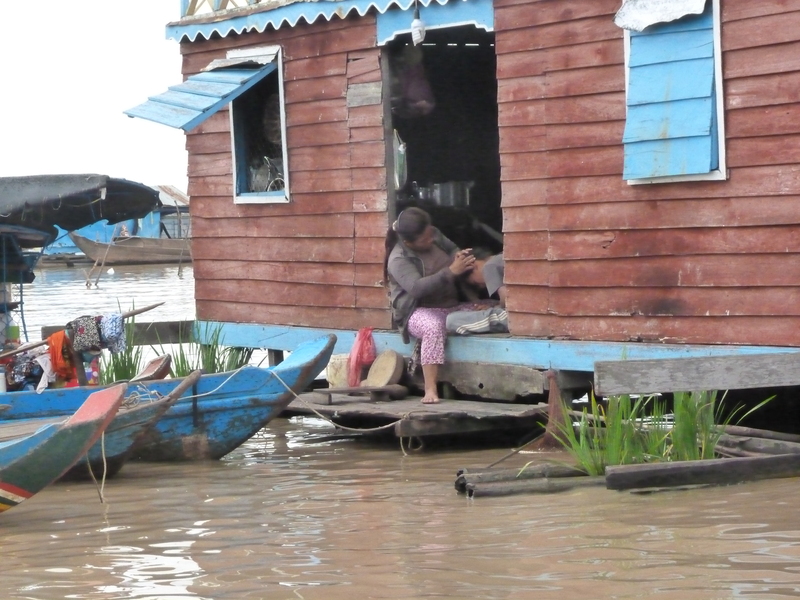 This experience led me to think a lot about poverty tourism in Cambodia. It was so sad to feel that the school was almost like a pretend school set up to get cash from tourists. I do realise that we only saw a snapshot of what was going on but it didn’t seem like the children were learning at all. As a teacher myself I asked quite a lot of questions at the school about education that no one seemed to be able to answer. I hope that I’m wrong but this was just the impression that I got. Unfortunately this seemed to be a bit of a theme everywhere in Cambodia. Children are used to generate money for adults in a variety of ways. We were approached in the street by a teenage girl with a baby. She begged us to go with her to a shop to buy some milk for the baby. Sadly this is not what it seems. The ‘milk scam’ is warned about in many tourist guides. Once you have bought the milk the girl would return it and split the money between her and the shop. Children are used everywhere to beg or sell items meaning that many don’t and probably never will go to school. Where does that leave them in the future? When we first arrived we saw a campaign poster with the slogan “children are not tourist attractions’. I have seen orphanages described as Cambodia’s booming new industry. 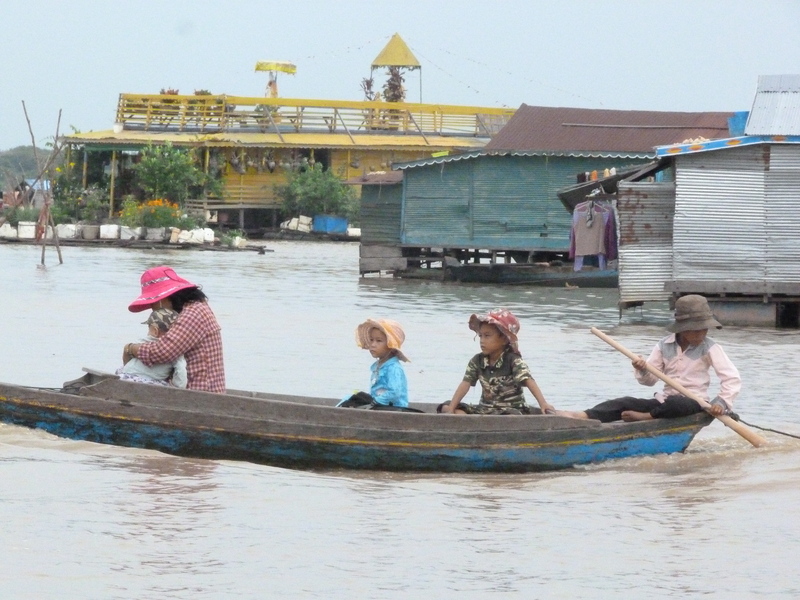 In Cambodia the numbers of orphans has halved but the number of orphanages has doubled. 75% of children in Cambodian orphanages are not orphans at all. They are children who have been recruited with a promise of better education and care. However, sadly children are put at risk due to inadequate care and no child protection guidelines leaving them open to neglect and abuse. Some orphanages welcome visitors in with no background checks and information at all. You could ask a tuk tuk driver to take you to an orphanage and pay $15 to volunteer for the day. Orphanages are kept in dilapidated conditions in order to inspire more donations. I hope this post doesn’t sound heartless because all of this breaks my heart. Every time a small child tried to sell me something I desperately wanted to give them money but I know this won’t help them in the long run. Now we are back we are thinking about what we can do to really help and make a difference. Check out this website for more information about volunteer tourism and what we can do to help! Previous Post The obligatory Angkor Temples post! 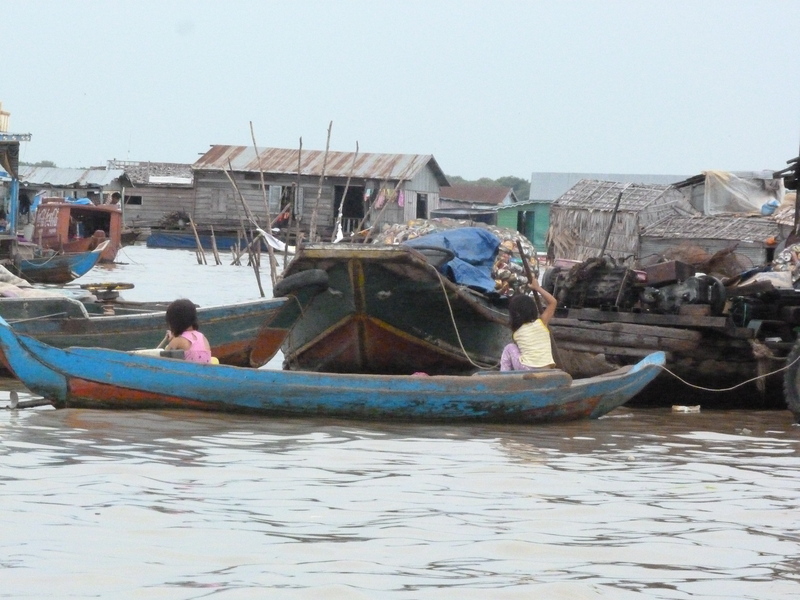 Next Post Phnom Penh…mixed emotions.